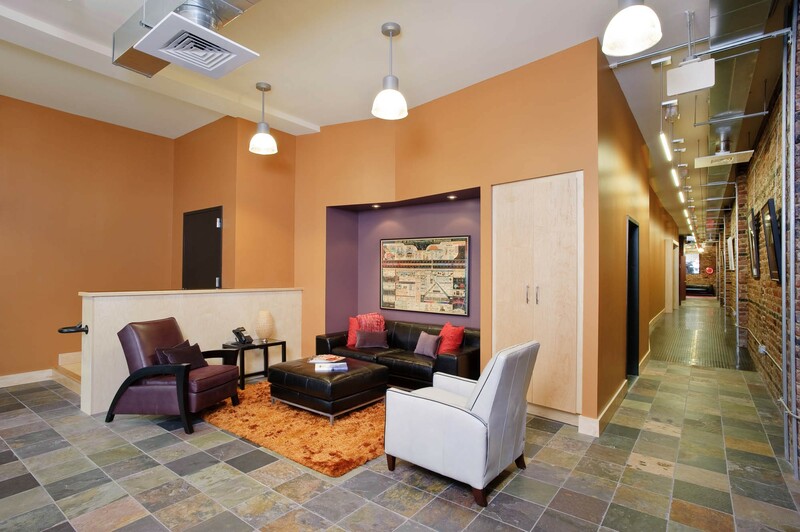 9WG STUDIO realizes a vision for a vital, collaborative, and creative environment for media production. 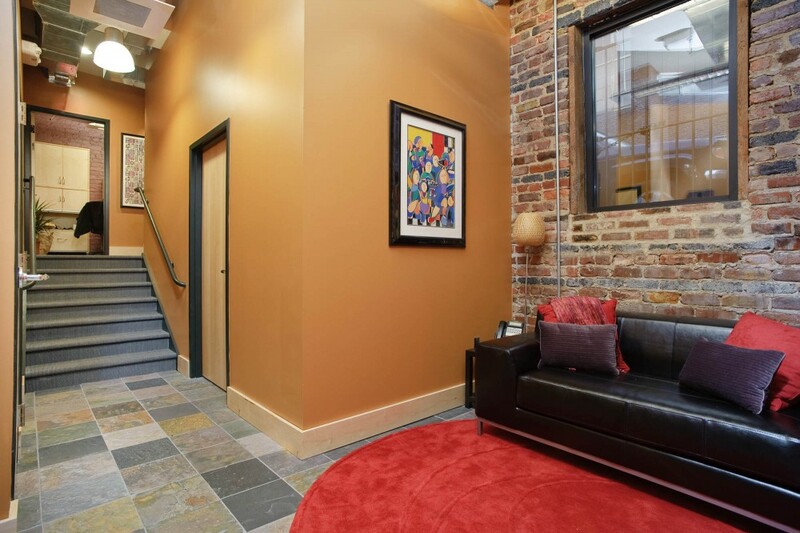 The owners, Jody Boyd (Red Amp Audio), Marna Bales (9WG Manager), and Melanie Cox (Spang TV) discovered the ideal location, 9 West Grace Street, in the urban core of Richmond. 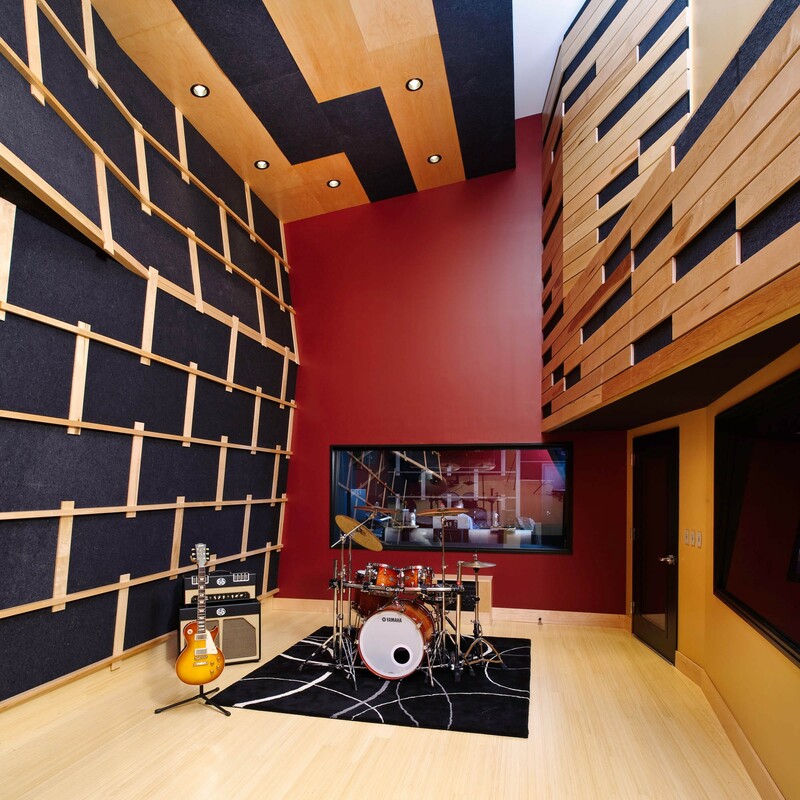 Originally an appliance showroom and more recently a photography studio, the space featured a double-height ceiling that provides the perfect scenario for Red Amp Audio’s tracking room. Working in concert with nonzero/architecture’s Peter Grueneisen, a specialist in recording studio design, Glavé & Holmes Architecture (G&HA) worked with the clients to convert the remainder of the ground floor into a media complex, including an isolation booth, editing suites, and a photography “cyc” wall for photo and video shoots. 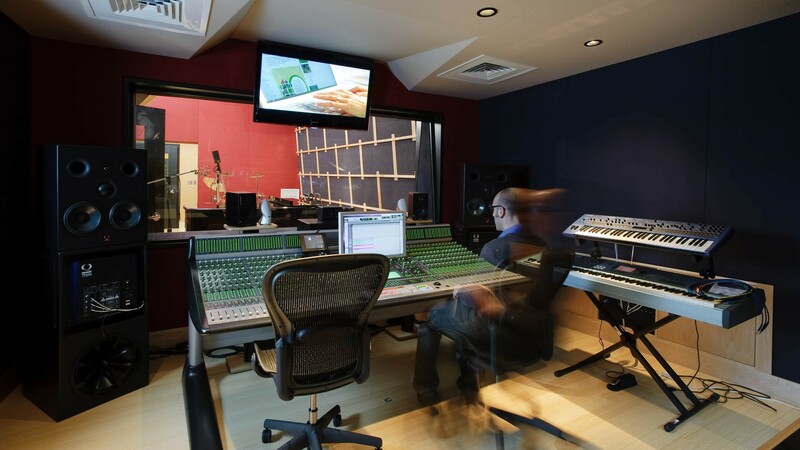 Canted, non-parallel walls and the rich textures of acoustical surfaces are fundamental elements for recording and editing spaces. Drawing from these functional cues, G&HA expanded the finish palette with vibrant colors and warm materials to complement the raw brick of the existing shell. Each of the spaces is carefully crafted to its intended function and fit together in the plan like a puzzle, all the while maximizing flexibility and efficiency. 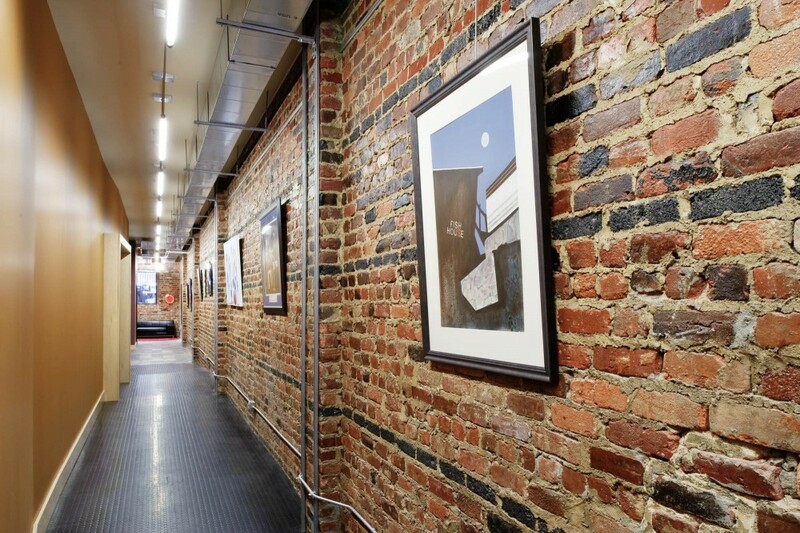 The result is a stimulating environment that supports the creative work of the studio spaces as well as the revitalization of the Grace Street corridor.